Do you have any missing keys on your acer laptop or did you have and liquid spill on your acer laptop keyboard ? notebook keyboards at affordable rates. If you notebook model has individual missing or damaged keys, we can supply and fit those particular keys, retainer clips and rubber cups as an alternative to replacing the entire keyboard. 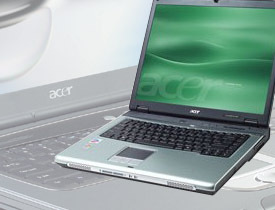 Please contact Creative IT on 020 7237 6805 or email us at info@creativeit.tv should you have any queries concerning our same day, professional London Acer laptop keyboard repair and Acer laptop keyboard replacement services. We are open Monday through Saturday from 09:00 am to 06:00 pm.